Evert AB, Boucher JL, Cypress M, et al. Nutrition Therapy Recommendations for the Management of Adults with Diabetes. Diabetes Care, 2013,36: 3827. European Commission. Commission Directive 1999/21/EC of 25 March 1999 on Dietary Foods for Special Medical Purposes. Official Journal of the European Communities, 1999, 91:29-36. ASPEN. Board of Directors and The Clinical Guidelines Task Force. Guidelines for the Use of Parenteral and Enteral Nutrition in Adult and Pediatric Patients. Journal of Parenteral and Enteral Nutrition, 2002,26(1):64SA. Ferreira I, Brooks D, Lacasse Y,et al. Nutritional Intervention in COPD: a Systematic Overview. Chest,2001, 119(2):353-63. Cai B, Zhu Y, Ma Yi, et al. Effect of Supplementing a High-fat, Low-Carbohydrate Enteral Formula in COPD Patients. Nutrition. 2003 Mar;19(3):229-32. Simopoulos AP. Essential Fatty Acids in Health and Chronic Disease. Am J Clin Nutr,1999,70(3 Suppl): 560S-569S. Kompauer I, Demmelmair H, Koletzko B, et al. Association of Fatty Acids in Serum Phospholipids with Lung Function and Bronchial Hyperresponsiveness in Adults. Eur J Epidemiol, 2008;23(3):175-90. Shahar E, Folsom AR, Melnick SL, et al. Dietary n-3 Polyunsaturated Fatty Acids and Smoking-Related Chronic Obstructive Pulmonary Disease. N Engl J Med,1994,331(4):228-233. Van der Meij BS, van Bokhorst-de van der Schueren MA,Langius JA,et al. n-3 PUFAs in Cancer, Surgery, and Critical Care: A Systematic Review on Clinical Effects, Incorporation, and Washout of Oral or Enteral Compared with Parenteral Supplementation. Am J Clin Nutr,2011,94(5):1248-65. World Health Organization. The Global Burden of Disease: 2004 Update. Geneva, Switzerland: WHO, 2008. World Health Organization. Chronic Obstructive Pulmonary Disease, Fact Sheet No. 215. Geneva, Switzerland:WHO, 2011. 镁 mg 1.8 N.S. 7.5 N.S. N. Cano, E. Fiaccadori, P. Tesinsky, et al. ESPEN Guidelines on Enteral Nutrition: Adult Renal Failure. Clinical Nutrition, 2006, 25: 295-310. Kerri L. Wiggins. Guidelines for Nutrition Care of Renal Patients (Third Edition). USA: American Dietetic Association, 2002:10. Joel D. The National Kidney Foundation K/DOQI Clinical Practice guidelines for Dietary Protein Intake for Chronic Dialysis Patients. American Journal of Kidney Disease, 2001, 38(4): pp S68-S73. Linda Mccann. Pocket Guide to Nutrition Assessment of the Patient with Chronic Kidney Disease (4th Edition). National Kidney Foundation, 2009. Lubos Sobatka主编, 蔡威译.临床营养基础（第四版）.上海:上海交通大学出版社, 2013: 446-447. European Scientific Committee for Food (Forty-First Series). Opinion on Foods for Special Medical Purposes (FSMPS) ,1996 . 吴肇汉主编. 实用临床营养治疗学. 上海: 上海科学技术出版社, 2001, P408. Judith A., VINOD K. BANSAL, et al. Medical Nutrition therapy in Chronic Kidney Failure: Integrating Clinical Practice Guidelines. Journal of The American Dietetic Association, 2004:404-409. J. Arends,G. Bodoky, et al. ESPEN Guidelines on Enteral Nutrition : Non-surgical oncology. Clinical Nutrition, 2006, 25, 245-259. 顾景范, 杜寿玢, 郭长江主编. 现代临床营养学. 北京：科学出版社。2009, P683. 吴肇汉主编. 实用临床营养治疗学. 上海: 上海科学技术出版社. 2001: 312-331. A. Weimann, M. Braga, et al. ESPEN Guidelines on Enteral Nutrition: Surgery including Organ Transplantation. Clinical Nutrition, 2006, 25, 224-244. David Allen August, Maureen B. Huhmann, et al. ASPEN. Clinical Guidelines: Nutrition Support Therapy During Adult Anticancer Treatment and in Hematopoietic Cell Transplantation. J Parenter Enteral Nutr, 2009, 33: 472. Ramon Colomer, et al. n-3 Fatty Acids, Cancer and Cachexia: a Systematic Review of the Literature. British Journal of Nutrition 2007, 97: 823-831. Barbara S van der Meij, et al. n-3 PUFAs in Cancer, Surgery, and Critical Case: a Systematic Review on Clinical Effects, Incorporation, and Washout of Oral or Enteral Compared with Parenteral Supplementation. The American Journal of Clinical Nutrition, 2011, 94: 1248-65. S.RISO, P.ALUFFI, et al. Postoperative Enteral Immunonutrition in Head and Neck Cancer Patients. Clinical Nutrition, 2000, 19 (6): 407-412. Park KG1, Heys SD, Blessing K,et al. Stimulation of Human Breast Cancers by Dietary L-arginine. Clin Sci (Lond), 1992, 82 (4):413-417. 胡细玲, 凌聪, 周雪玲. 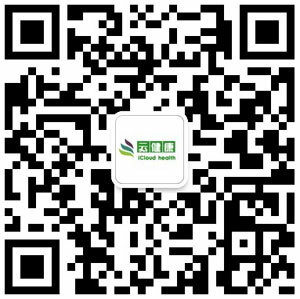 谷氨酰胺强化肠内营养在腹腔镜胃癌根治术后早期的应用. 全科护理, 2012, 10(7): 1881-1882. Jiun-jie Lin, Xiu-Juan Chung, et al. A Meta-analysis of Trials Using the Intention to Treat Principle for Glutamine Supplementation in Critically Ill Patients with Burn. Burns, 2013,39:565-570. H.Lochs, C.Dejong, F.Hammargvist, et al. ESPEN Guidelines on Enteral Nutrition: Gastroenterology. Clinical Nutrition, 2006, 25: 260-274. James A. Olson, Moshe Shike. Modern Nutrition in Health and Disease (eighth edition). USA: Lea & Febiger, 1994, P1043-1045. Eric H. Kossoff, Beth A. Zupec-Kania, Per E. Amark, et al. Optimal Clinical Management of Children Receiving the Ketogenic Diet: Recommendations of the International Ketogenic Diet Study Group. Epilepsia.2009;50(2):304–317. Zahava Turner, Eric H.Kossoff. The Ketogenic and Atkins Diets: Recipes for Seizure Control. Practical gastroenterology.2006;6:53-64. 蛋白质 g 2 N.S.a 8.4 N.S. 碳水化合物 g 2 N.S. 8.4 N.S. 维生素A mg RE 24 N.S. 100 N.S. 维生素D mg 0.1 N.S. 0.42 N.S. 维生素E mg a-TE 0.4 N.S. 1.7 N.S. 维生素B1 mg 0.03 N.S. 0.14 N.S. 维生素B2 mg 0.05 N.S. 0.2 N.S. 维生素B6 mg 0.08 N.S. 0.34 N.S. 维生素B12 μg 0.04 N.S. 0.17 N.S. 维生素C mg 1.2 N.S. 5 N.S. 烟酸（烟酰胺） mg 0.44 N.S. 1.84 N.S. 叶酸 μg 8 N.S. 33.4 N.S. 钠 mg 40 N.S. 167 N.S. 钾 mg 64 N.S. 267 N.S. 铜 μg 60 N.S. 250 N.S. 镁 mg 14 N.S. 58.4 N.S. 铁 mg 0.64 N.S. 2.67 N.S. 锌 mg 0.2 N.S. 1 N.S. 钙 mg 20 N.S. 84 N.S. 磷 mg 20 N.S. 84 N.S. 碘 μg 5.6 N.S. 23.4 N.S. 顾景范，杜寿玢，郭长江主编. 现代临床营养学（第二版）. 北京: 科学出版社, 2009, P517. CODEX. CODEX STAN203-1995 Standard for Formula Foods for Use in Very Low Energy Diets for Weight Reduction. 1995. Jeffery I. Mechanick, Robert F. Kushner, Harvey J. Sugerman, et al. American Association of Clinical Endocrinologists, The Obesity Society, and American Society for Metabolic & Bariatric Surgery Medical Guidelines for Clinical Practice for the Perioperative Nutritional, Metabolic, and Nonsurgical Support of the Bariatric Surgery Patient. Endocrine Practice, 2008, 14: 1-83.